Floor-grazing styles like the maxi should be a summer staple in any fashion-forward wardrobe. Being petite doesn’t mean that you need to be left out of this trend! Here’s an insider tip from Stylists: the longer length will actually do wonders for lengthening your frame! Ready to give maxis a chance? Keep reading to learn how to rock a maxi when you’re petite! First things first, let’s start with the silhouette. Smaller frames get easily overwhelmed by wide, floor-length skirts and dresses. Instead, go for one that hits at or just below the ankle with a figure-skimming fit for a streamlined shape. Can’t find an ankle-length skirt? Find one that can be folded at the waist for a tailor-free hemming option! 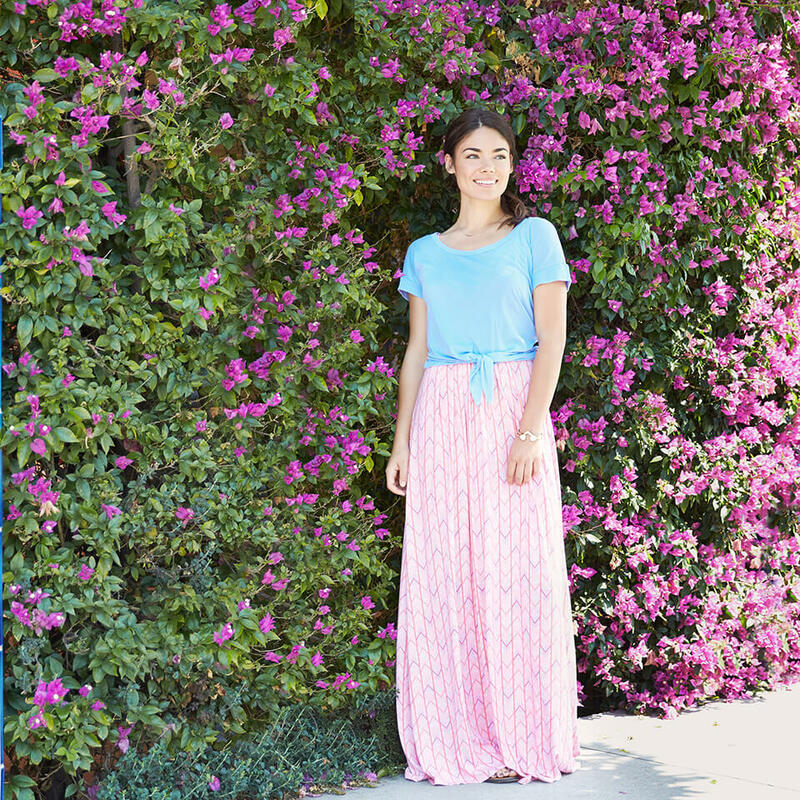 No matter your height, shape or weight, you’ll want a maxi skirt that will drape, move and still keep you cool and comfortable all season long. Soft fabrics like jersey and poly-blends are the best fabrics to reach for in your skirts and dresses. Stiff fabrics that retain their shape, like wool, can create a shape for you instead of you showing off your shape. When you’re rocking a maxi skirt or dress, be sure to keep your top half well defined to create the perfect balance between the longer length of your skirt and your petite shape. Tops with a slim fit that hit at or before your hips will help balance the volume below. If your tops are on the straighter side, you can try a side knot or a front tuck for extra waistline definition. Ready to rock a maxi? Tell your Stylist or sign up for Stitch Fix to snag one in your next delivery! Petite and planning on wearing a maxi? Tell us!